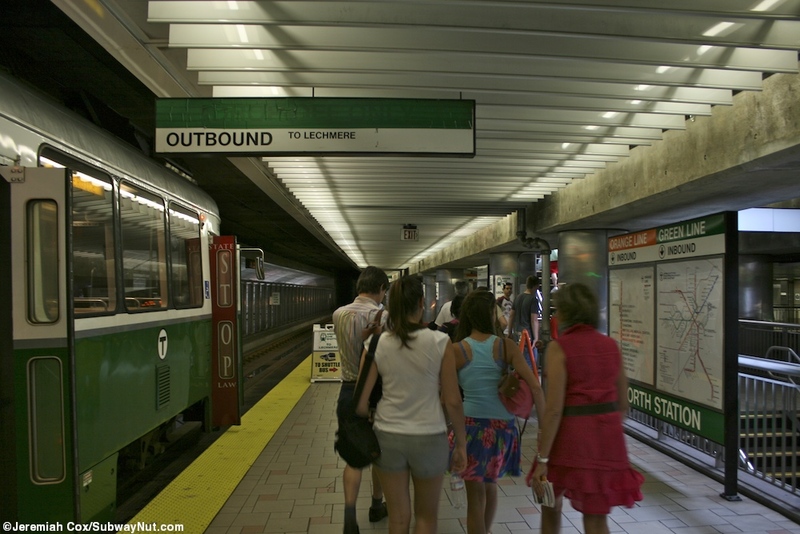 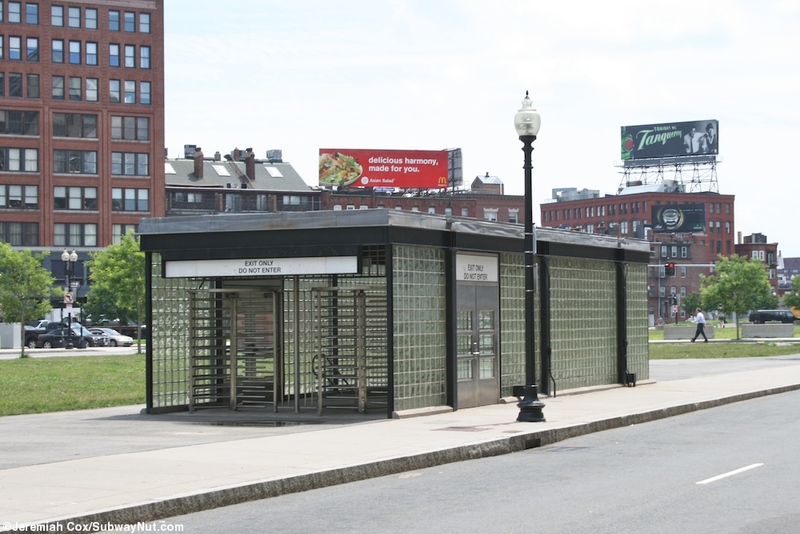 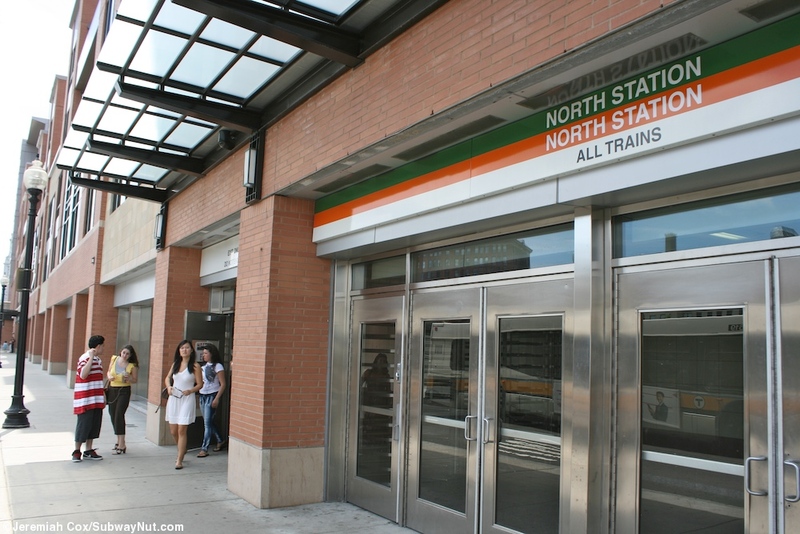 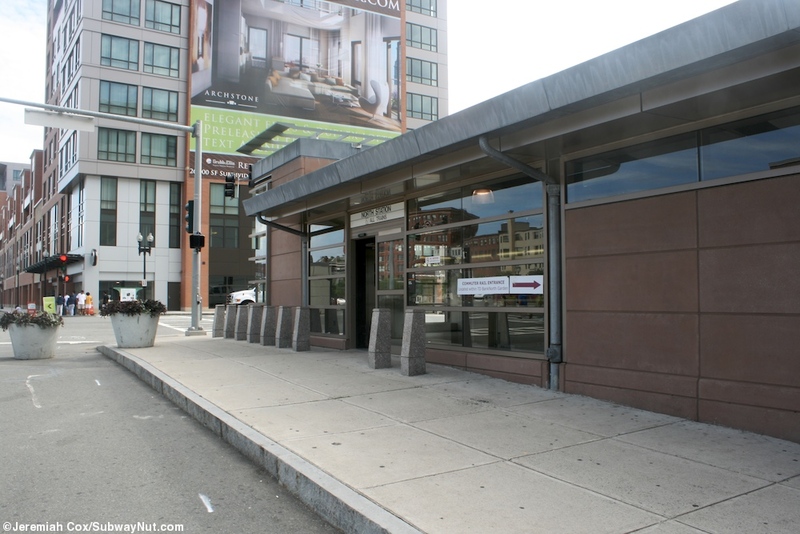 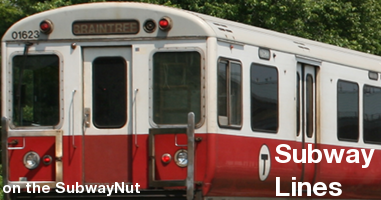 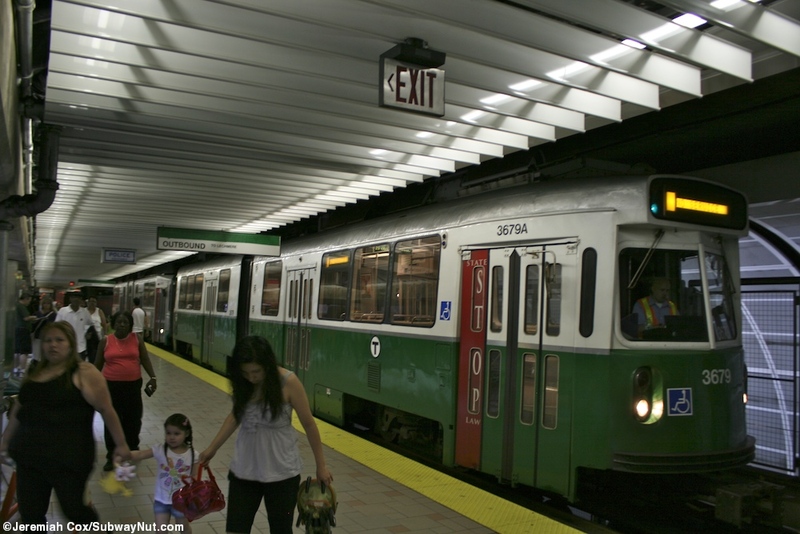 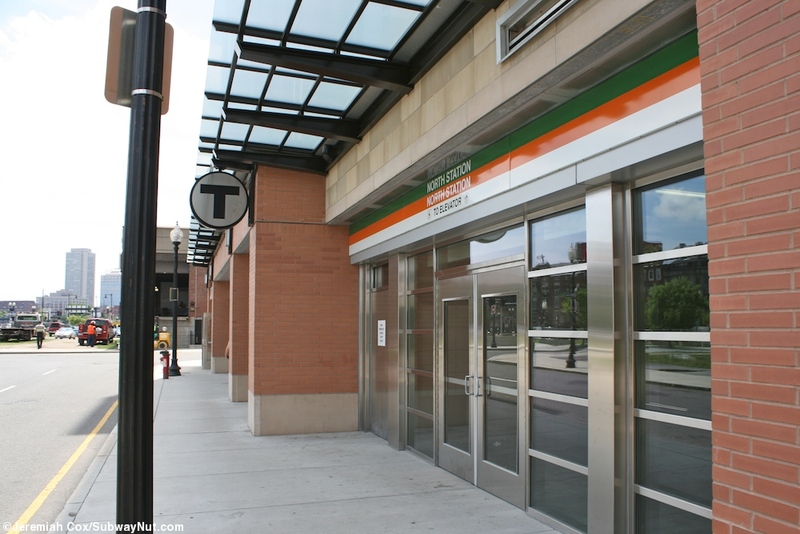 The current North Station opened in November 2005, putting the green line underground so the Causeway Street elevated could be demolished. 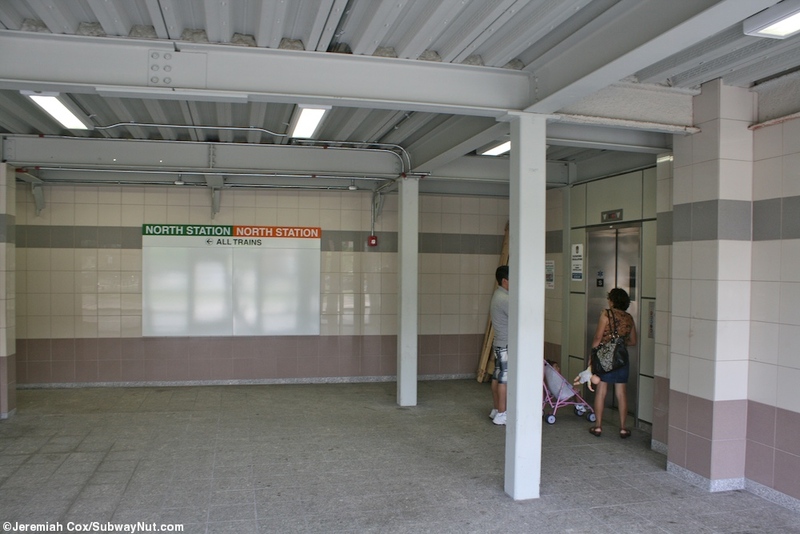 The station has a very unusual layout with a central island platform serving both inbound green and orange line trains. 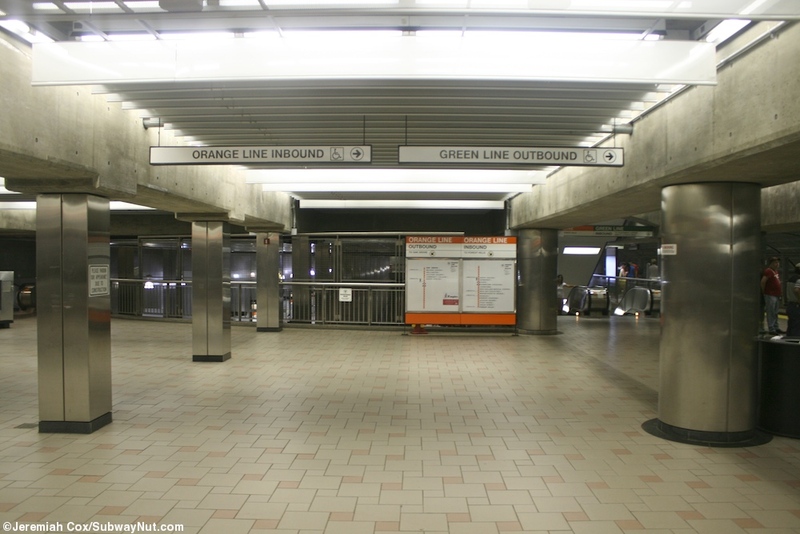 Alongside the inbound orange line track is the outbound one and its own side platform. 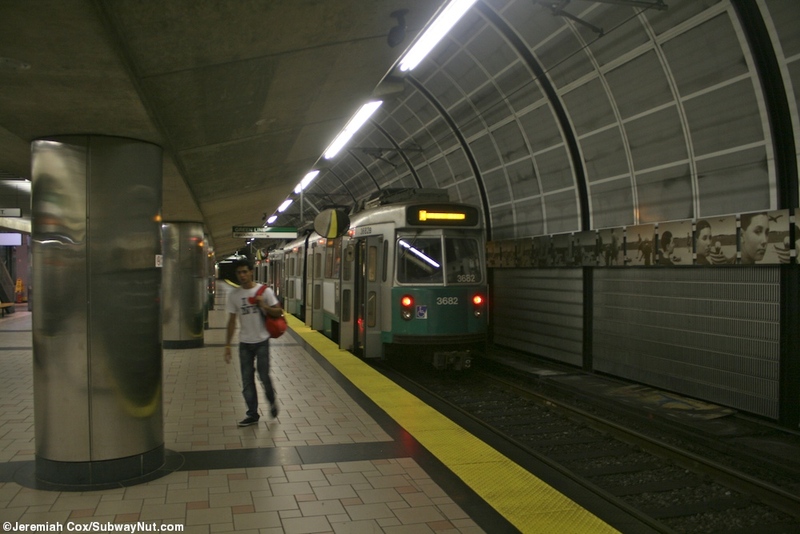 Outbound Green Line trains stop on an intermediate level above the inbound green line track making them stacked. 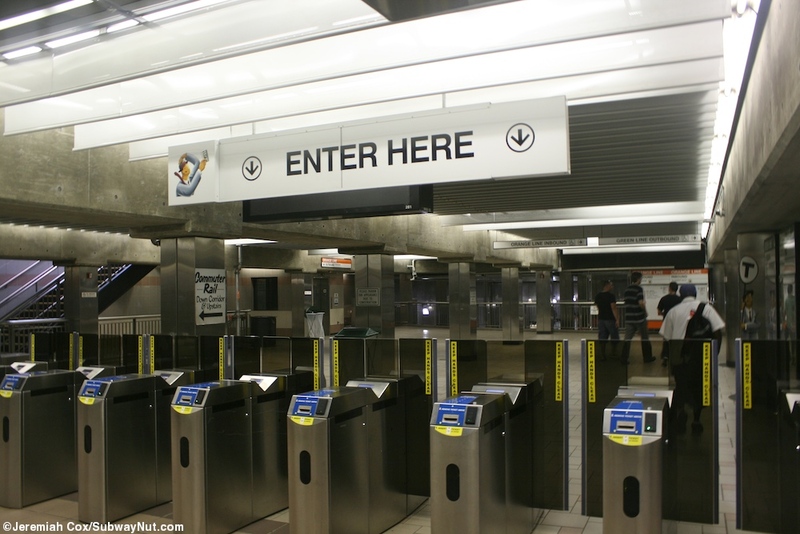 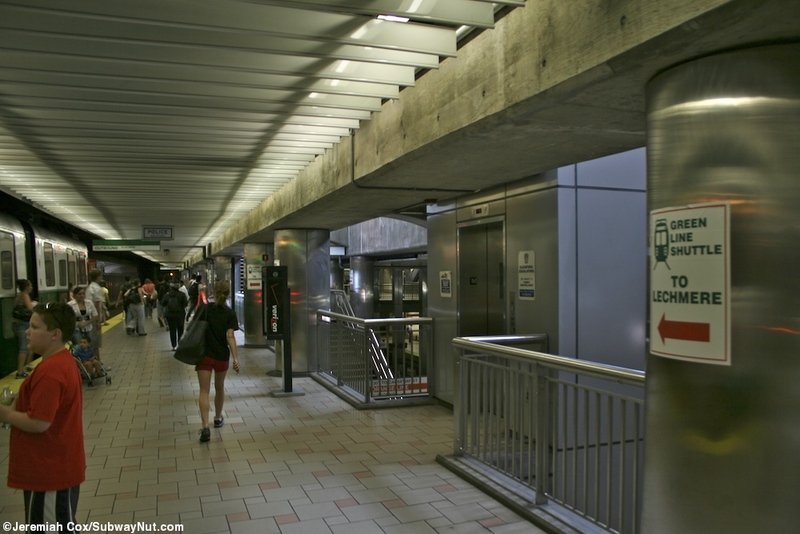 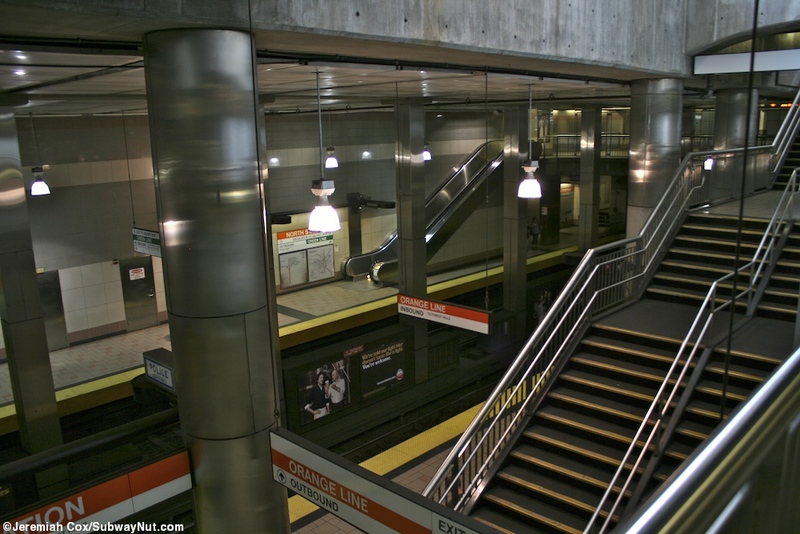 Access to the station is via two main fare control areas at either end of the platform each of these has a staircases escalators and elevators from it down to the lower level shared inbound platform stopping at an intermediate landing for the upper level outbound green line platform with the outbound orange line platform having its own, longer staircases, escalators and its own elevators for access. 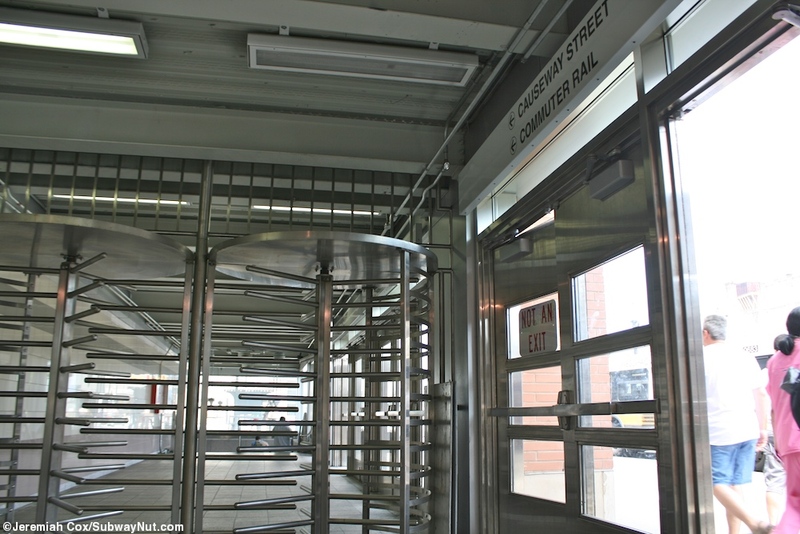 The southern fare control area has a staircase from within fare control that leads to a small headhouse to the east side of Haverhill Street. 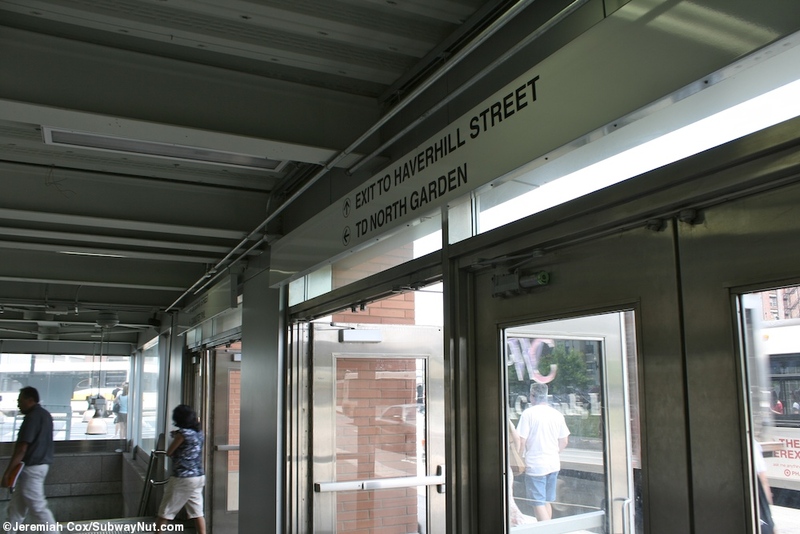 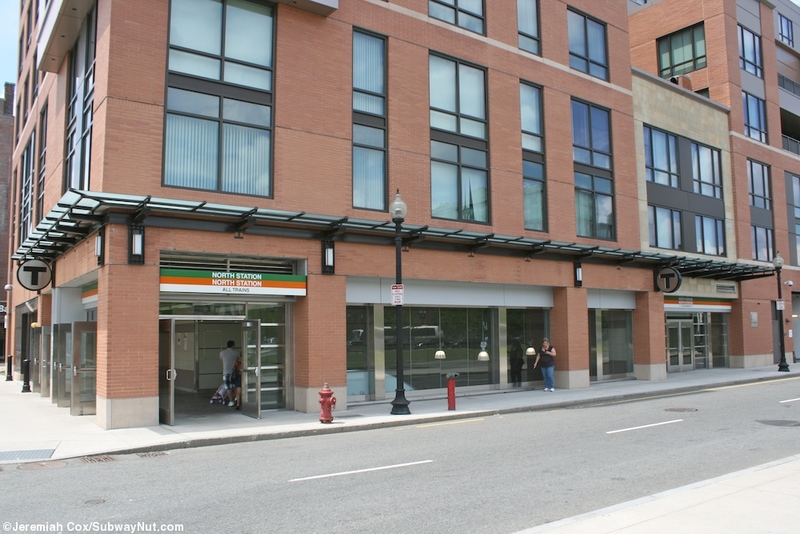 The main entrance from the fare gates is inside a new apartment building at the NW corner of Haverhill Street and Valenti Way. 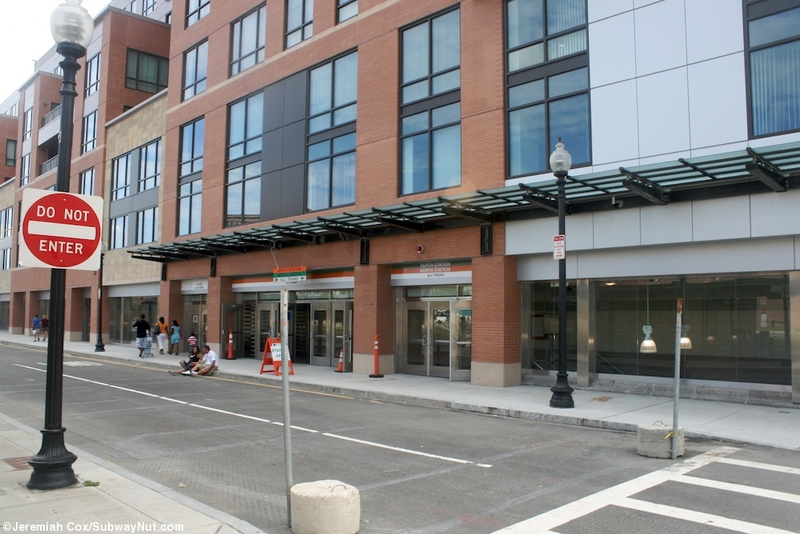 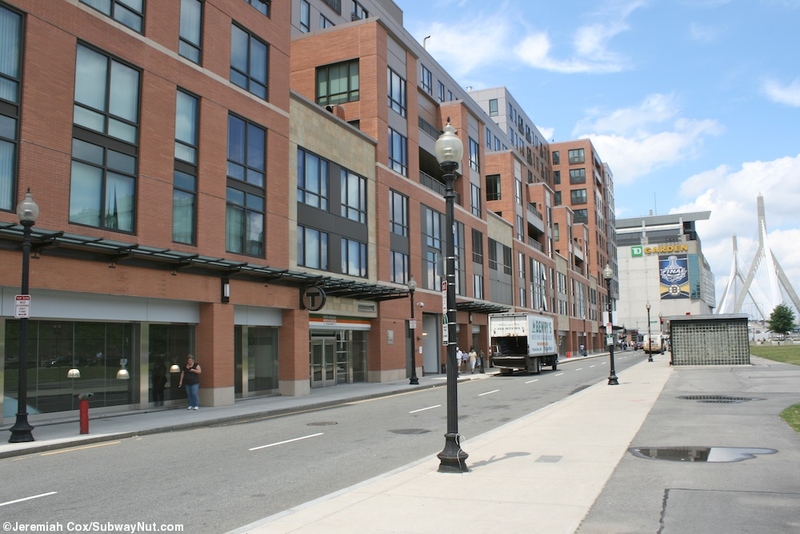 Towards the northern end of the station is where the more important exits are with more staircases and escalators inside the same new apartment building on the SW corner of Haverhill Street and Causeway Street. 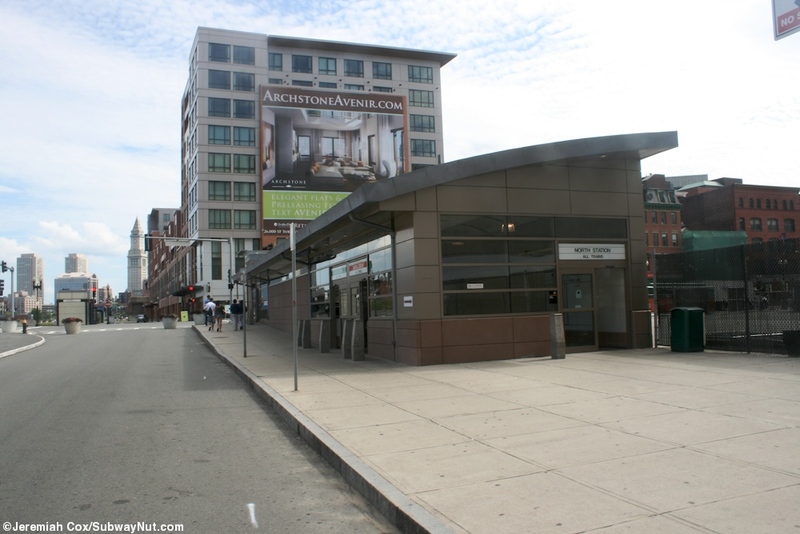 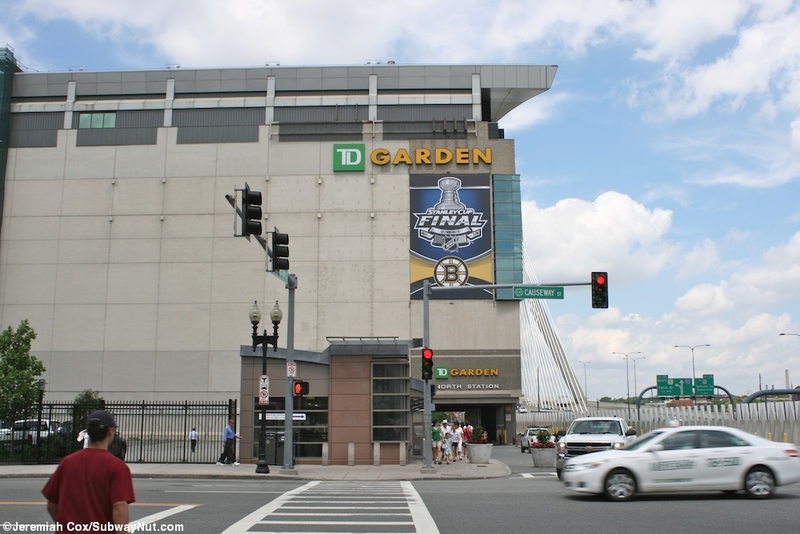 There is an additional elevator and staircase/escalator building on the SE corner and passageway connects to another entrance building right outside of North Station on the NW corner.